Usually this time of the year we’ve all been stuck inside. 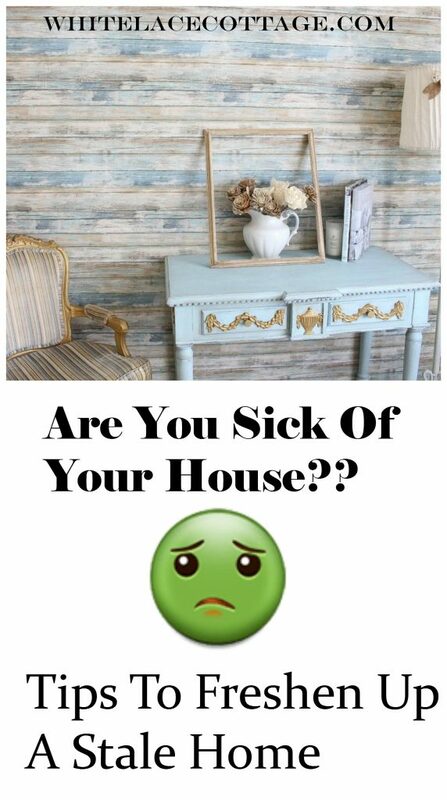 If you’re like me you start thinking about making changes in your home. I get so board with my home this time of the year. After the holidays after all the decorations are put away I starting thinking and dreaming of ways to make changes in my home. Are you with me on this? If you are keep reading because I’m going to share some tips on how to freshen up a home. This can be done with or without a budget. I’ll share options for you so you can choose what you would like to do. Use paint to freshen up a room or a piece of furniture. This is one the easiest ways to update a room and give it a fresh look. Paint is inexpensive whether you’re painting a wall or piece of furniture. If you’re on a tight budget go to a home improvement store and look for the oops paint. This is paint that was mixed up but the customer wasn’t happy with the color. Not all wall paint is expensive. I’ve always use Glidden’s basic line paint Gidden Quick Cover. It’s only $8.44 a gallon so if you’re on a super tight budget it’s possible to still paint a room. If Glidden is not your first choice shop around for paint that’s in your budget I know you will find one. If you want to paint furniture but you can’t afford chalk paint use regular latex paint. If you’re not wanting to do a chippy look you will need to use a primer before you paint your piece. If you want a chippy look then use flat latex paint no primer. Only add a coat of paint the thinner the better if you want to distress it. Another way to freshen up a home is to paint your kitchen or bathroom cabinets. I personally would never paint my kitchen cabinets using chalk paint again. You can read why in this post ” Chalk Painted Kitchen Cabinets Never Again!”. Instead of going out to purchase new pieces of furniture rearrange you’re rooms. If it’s feeling cluttered take some pieces out of your room. I really believe less is more and sometimes we over do it with our decor. I know I’m guilty of that myself. Before you start moving things around take a photo of your room as it is. Then start taking pieces out of your room. Then slowly start adding those same pieces back but rearrange them. You can even add in different pieces by shopping your home. Not just furniture either. Add different pieces of art, rugs, lamps or even throw pillows to a room. Once you have your room the way you want it take a photo of it. A photo will give you a different perspective of your room. Compare it with how it looked previously. Keep messing around with your room until you get it just how you like it. But taking a photo is like getting a different pair of eyes looking at your room. Trust me it works. Now’s the time to declutter your space. 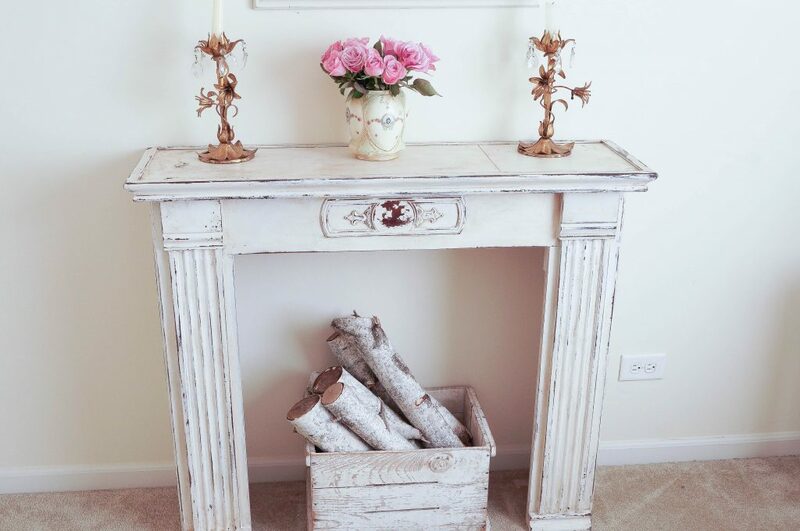 This is a great way to freshen up a home. Sometimes and I’m including myself, we tend to over collect. Instead of putting things away when we purchase something new we keep adding to a space. Go through your rooms and really look around. Do you really enjoy all of your pieces? I’m not just talking about decorative pieces but furniture as well. If you’re feeling like your home is getting crowded it’s time to purge. Anything that you no longer really enjoy put aside to donate or host a sale in the spring or summer. I’ve hosted several of these you can read. 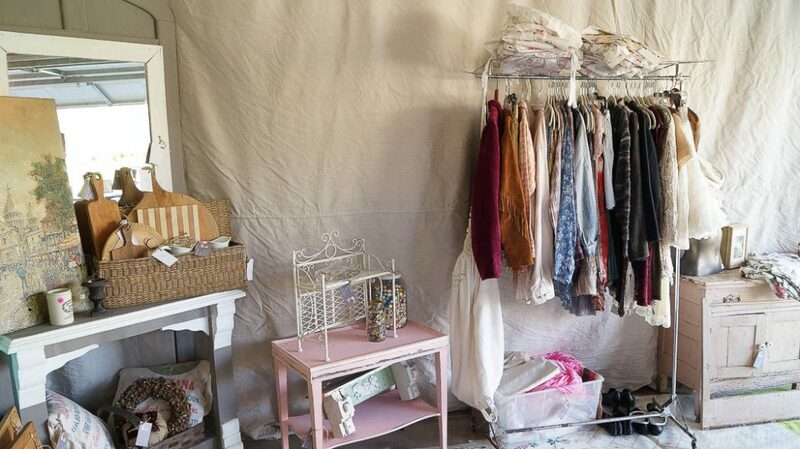 You can read my article on how to ” Make Money Hosting Garage Sales”. Sometimes decluttering a room is all you need to freshen up a home. If you’re getting tired of your current color scheme think about adding a new color. Choose a color that will accent the colors you currently have in your room. You can do this by painting an accent wall, using a piece of art with a fresh pop of color or by using accent pillows. If you already have pieces in your home and you’re on a tight budget use what you have. If not look for deals at discount stores. Usually this time of the year many stores like Marshalls, TjMaxx and Hobby Lobby start discounting many times for up to 80% off. You can also add color by adding a accent rug. Take a look at some of your books and if the books have the right colors take those book jackets off and place them on a table. Add a fresh or faux pitcher of flowers. This will add a beautiful pop of color to a room on any budget. Another way to freshen up a home is to add texture. You can use textured fabrics and also pieces of furniture with details like wooden pieces of furniture with chippy patina. You can also add texture to a room by creating faux texture. 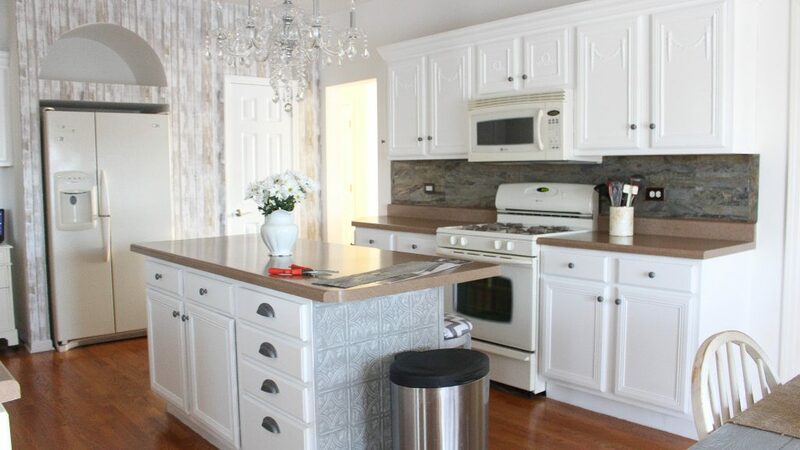 A few examples are this faux stone back splash that’s actually stone but it’s peel and stick. 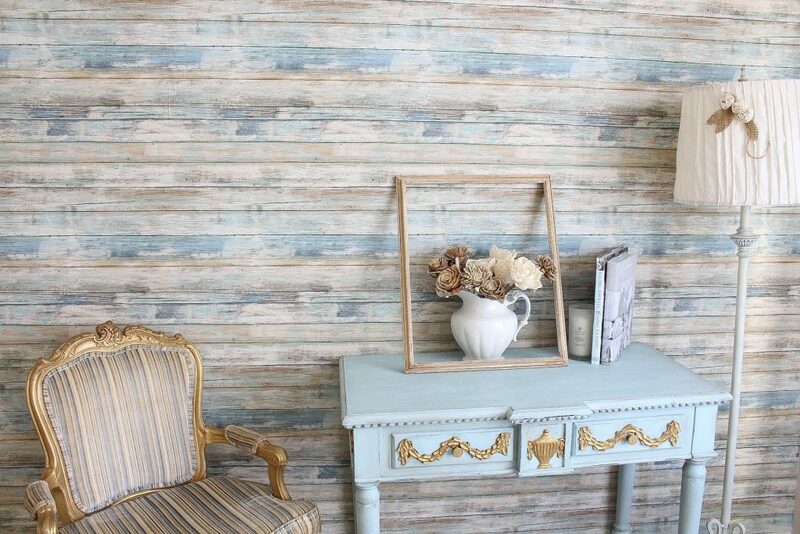 Or using this wallpaper that looks like it has texture with that chippy worn wood look. I love both of these options because they can be easily removed if you get tired of the look yet they are both very affordable. You can also add texture with accessories you add in a room. A textured chippy box with wood adds beautiful texture. As this mantel does as well with it’s chippy texture. These candelabra’s also add a touch of texture. This creates interest in a room. Remember that this is your home there are no rules these are just guidelines to help you. I don’t believe in decorating rules you should always decorate with things that make you happy. If you want to mix patterns mix them. If you want to mix styles go for it because in the end you have to be happy with your home. Hi Anne, Another great post. Even if we’ve read about these ideas before it never hurts to be reminded. Sometimes I get so involved with what am working on I get overwhelmed, can use a good reminder like your post. All such common sense ideas to inspire us. Finally got old computer desk out of studio, did some much needed vacuuming/ re-arranging in room today. Our vacuum is so darned heavy hubs does most of vacuuming these days, really hard for me especially on thick shag rug in living room. Oh how would love to take awful carpet out of rooms we inherited when we bought this place. Instead of giving desk away are going too use boards to make shelves in studio and whatever else can do with them. Never know what may come up. Some very good ideas, and ones that get overlooked. 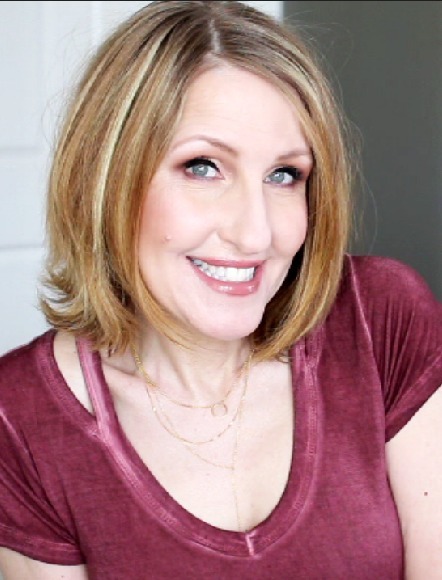 Declutter and rearrange your furniture are some of my faves! I love the wallpaper! I missed that post some how. 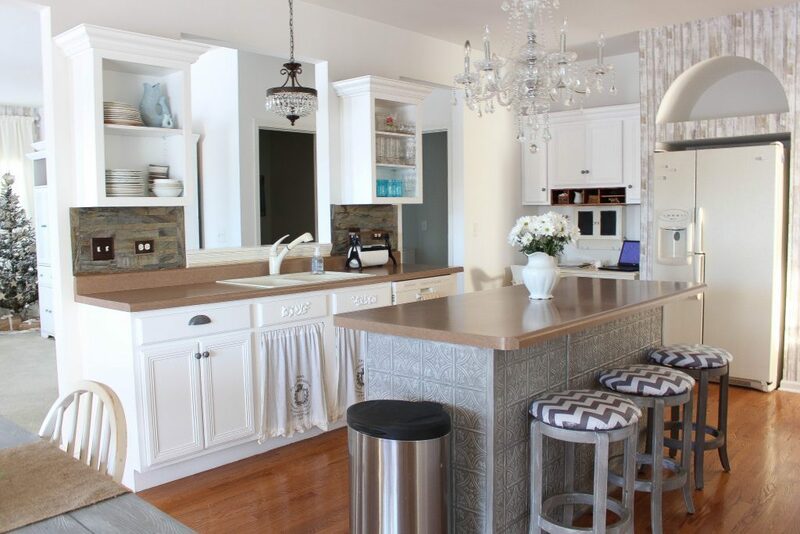 Have you painted over the chalk paint on the cabinets yet?